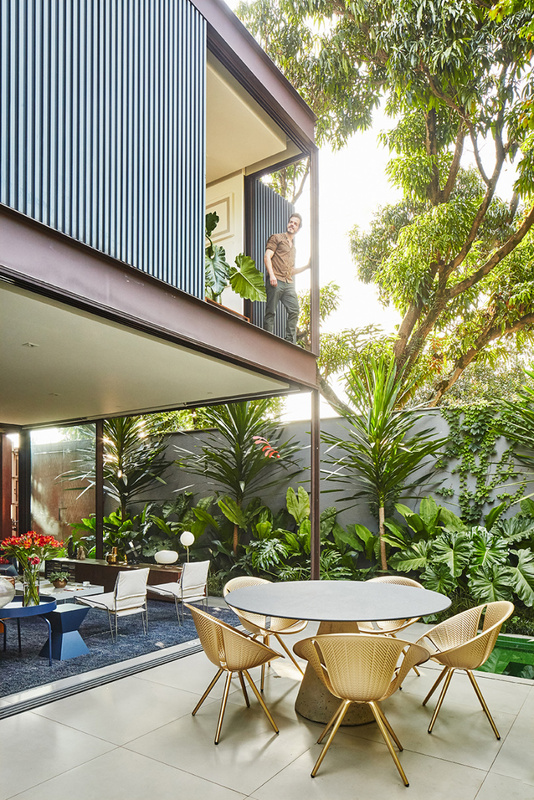 architect flávio castro, who leads brazilian practice FCstudio, has designed a residence for himself in são paulo that features retractable metal wall panels. 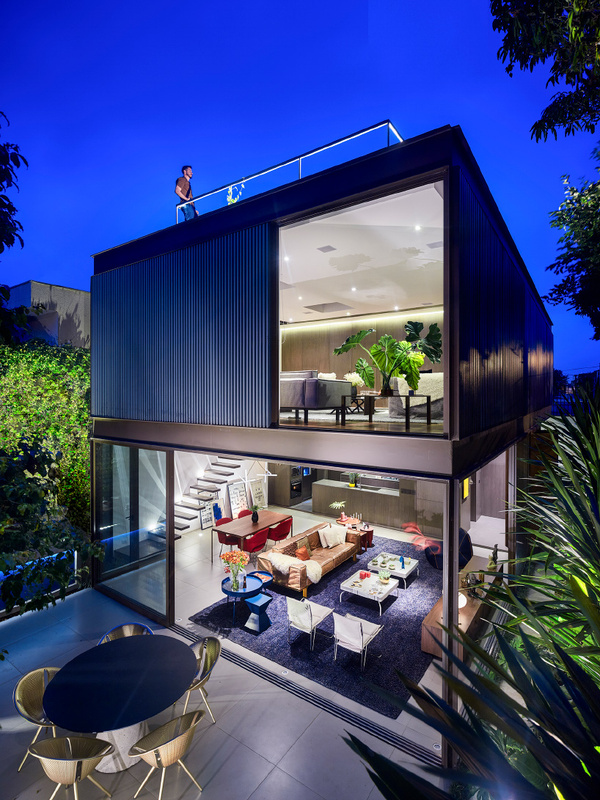 the appropriately titled ‘box house’ is located in a residential neighborhood on a corner plot that measures 20 by 10 meters (66x33ft). 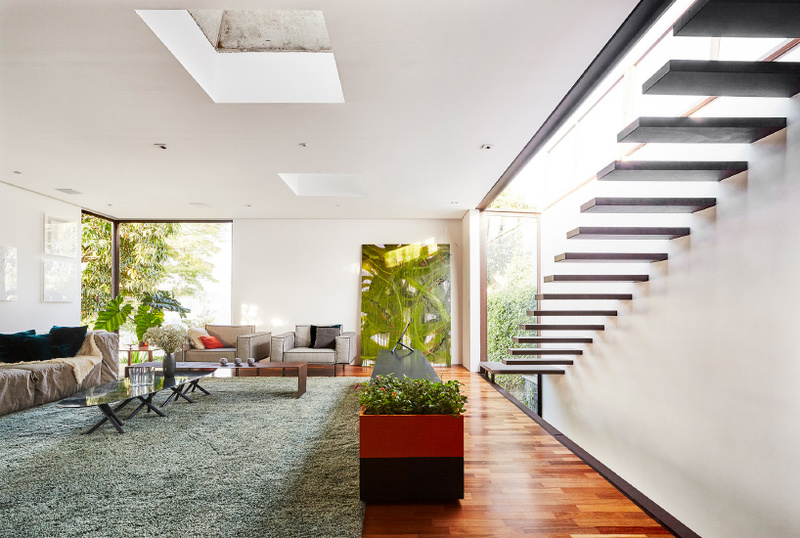 the setting directly informed the position of the building’s openings, while additional illumination is provided in the form of skylights and an inner patio. 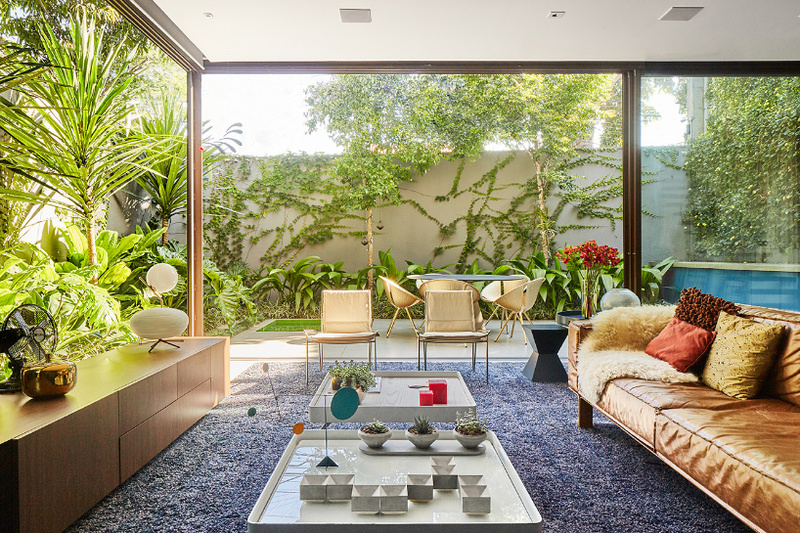 despite its prominent location, flávio castro chose to hide the house from the passing street. consequently, the structure appears above the site’s secure perimeter wall like an opaque box with no openings. 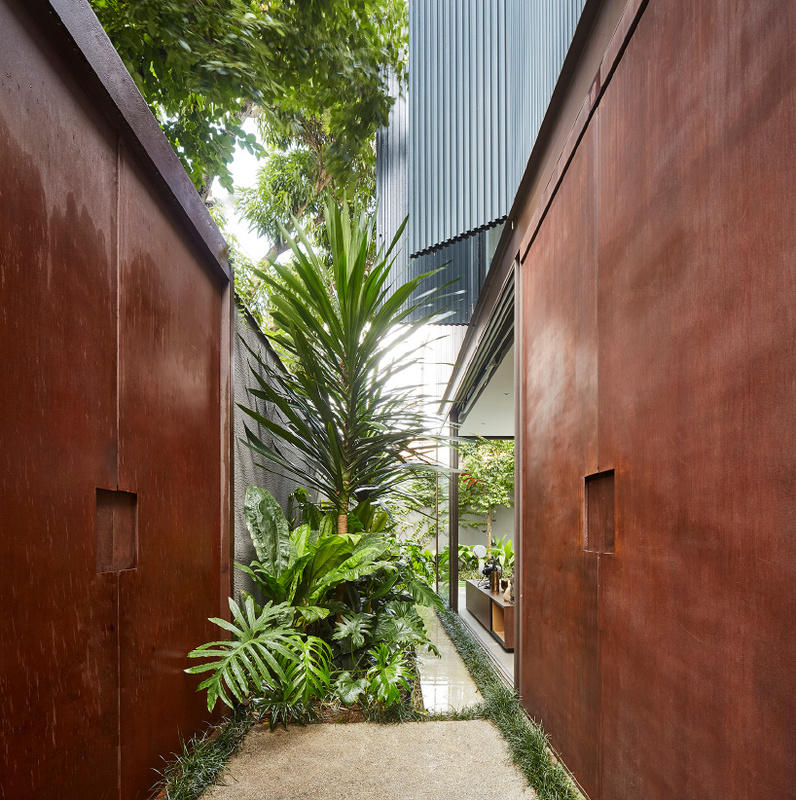 residents and guests must first pass through a corten steel gate before reaching a hall where the scale and volume of the dwelling becomes apparent. 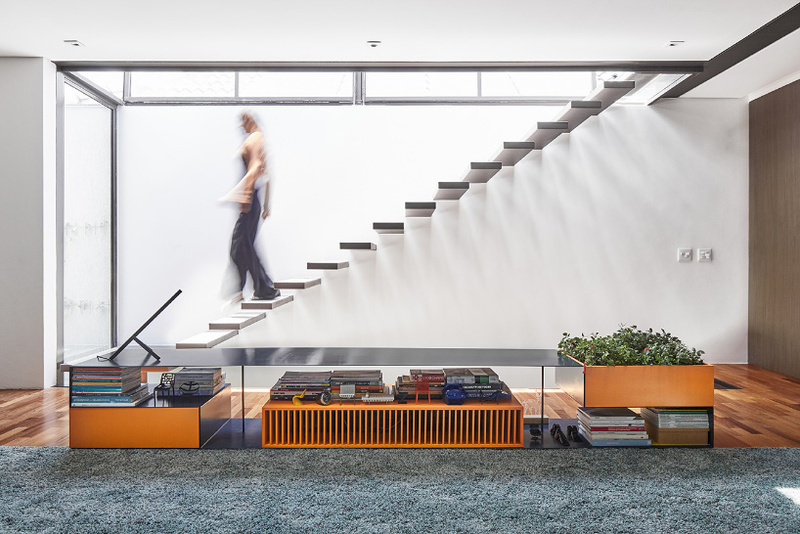 the monolithic box is revealed to be resting on a glass box, which makes the upper level appear to float. 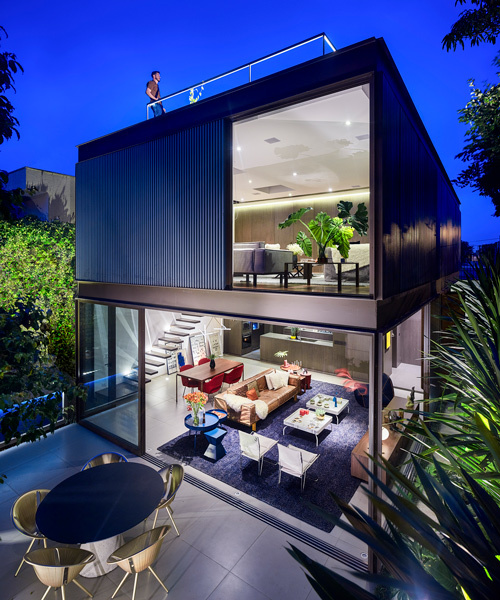 the ground floor contains the home’s primary living accommodation, with the storey above accommodating the more private areas of the home. 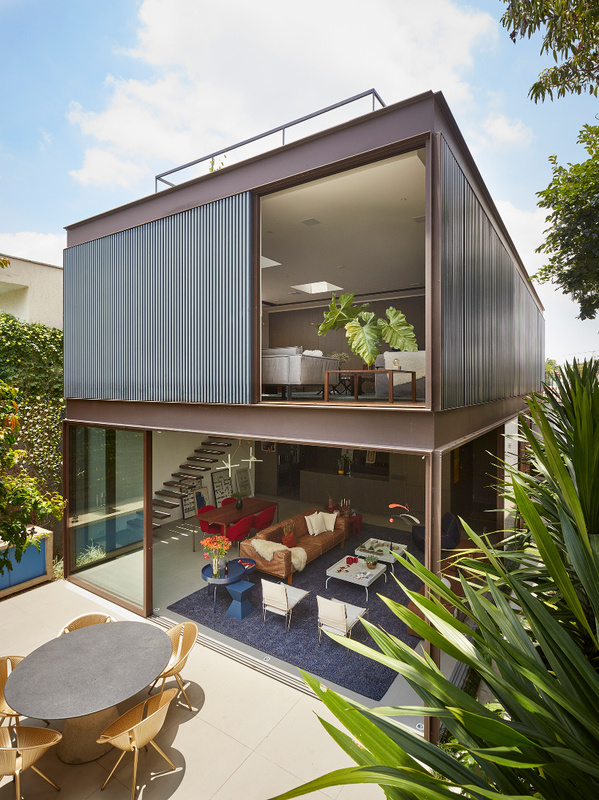 here, the adaptable miniwave panels can be configured to provide desired amounts of light, views, and privacy. 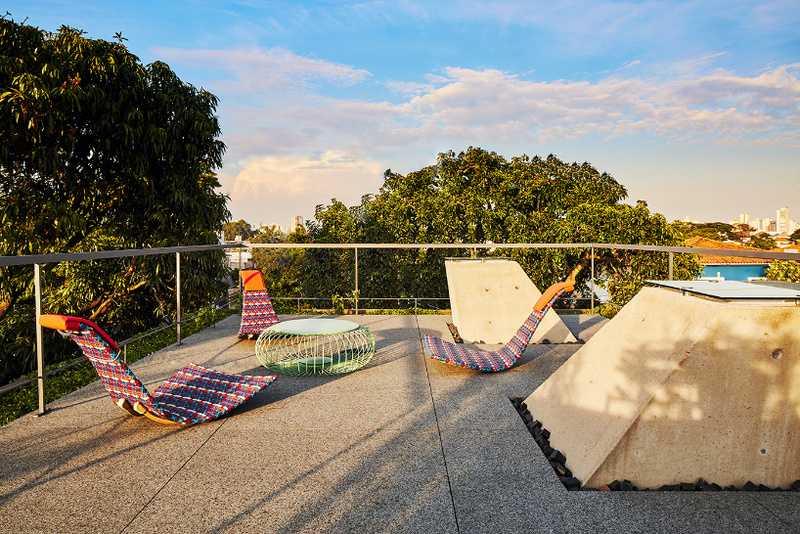 finally, a rooftop terrace — conceived as a belvedere — is found on the uppermost level. 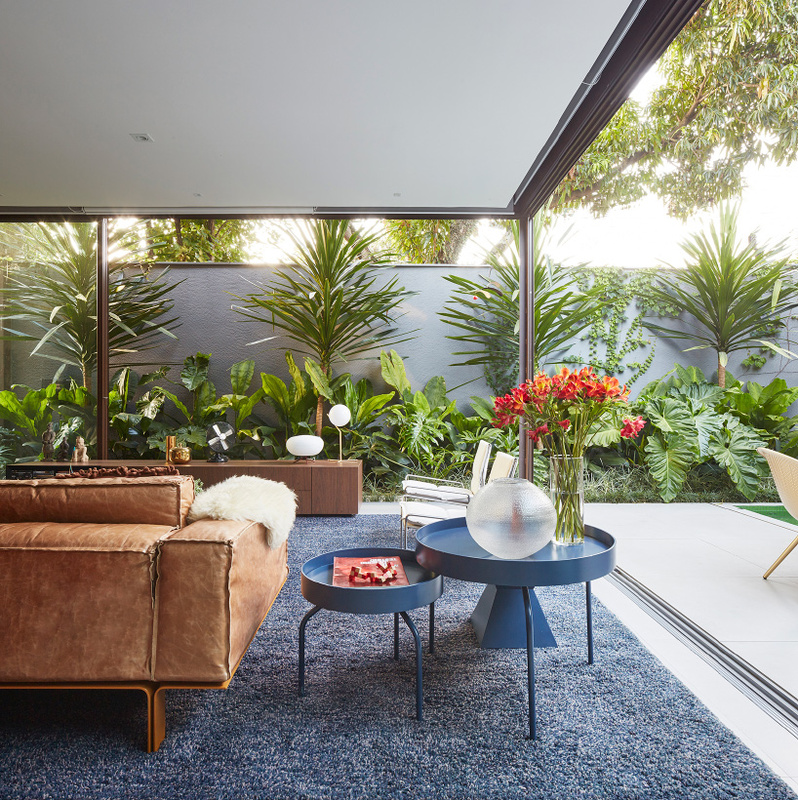 elsewhere in são paulo, FCstudio has previously completed a fully integrated and flexible apartment, while the ‘planalto house’ appears to balance a pair of perpendicular volumes.